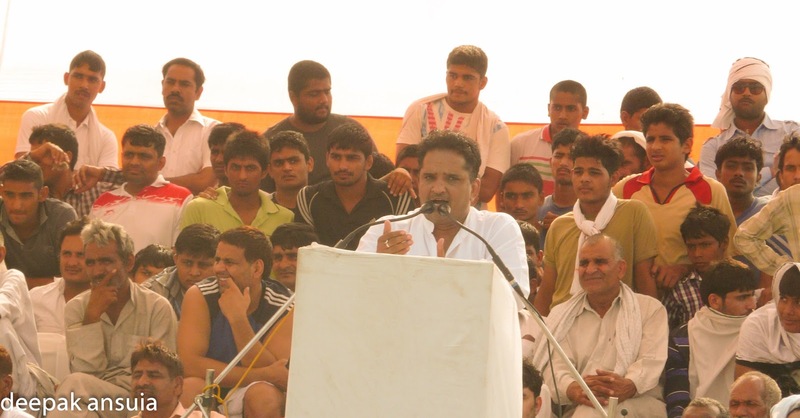 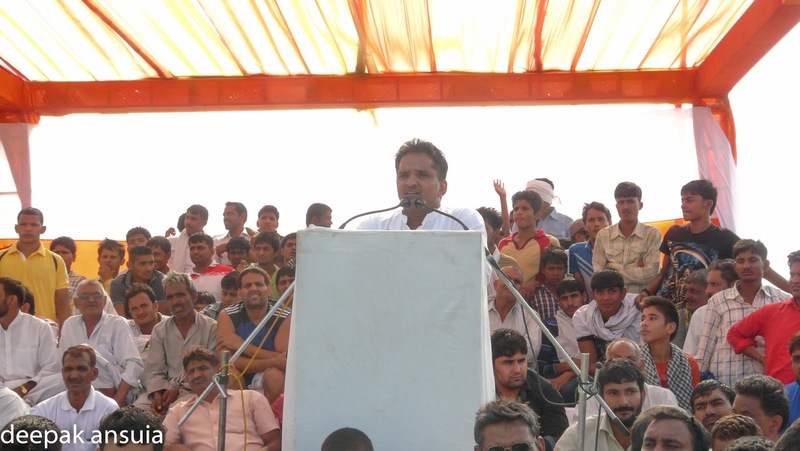 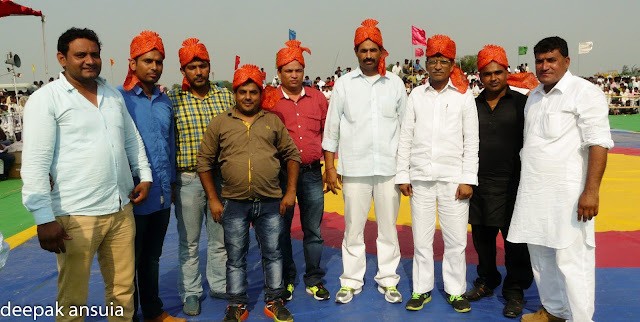 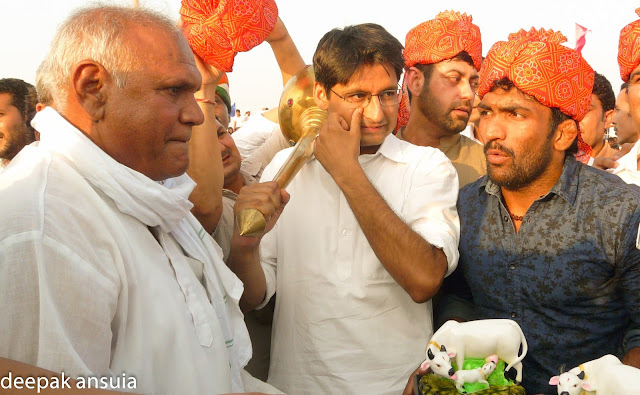 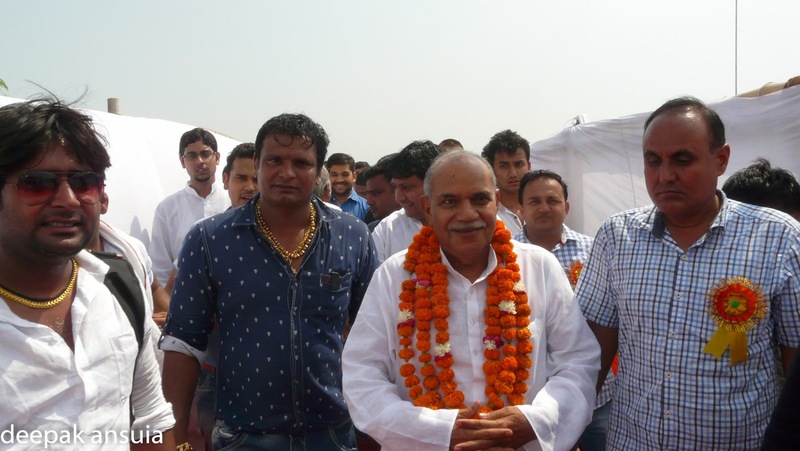 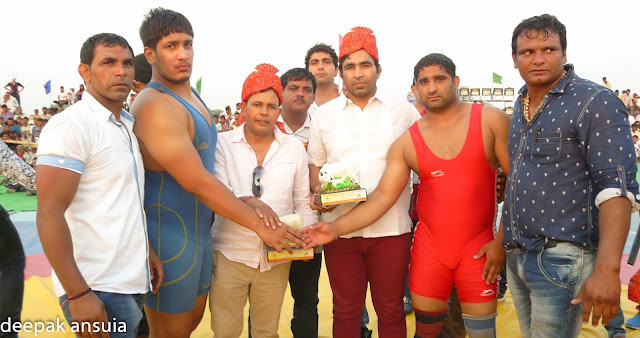 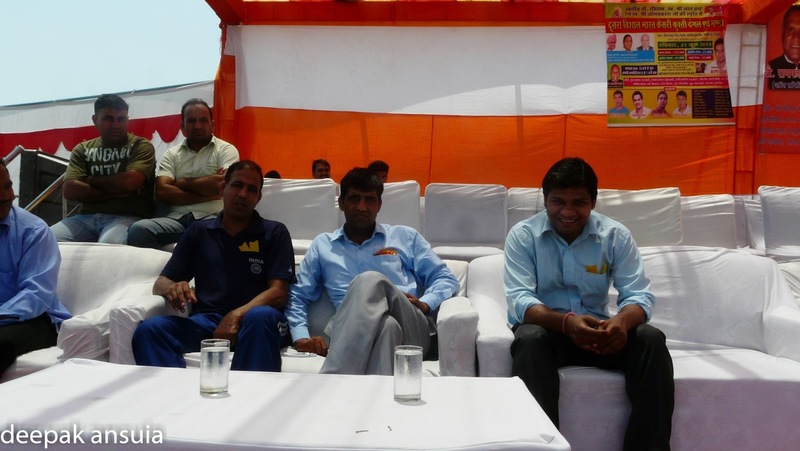 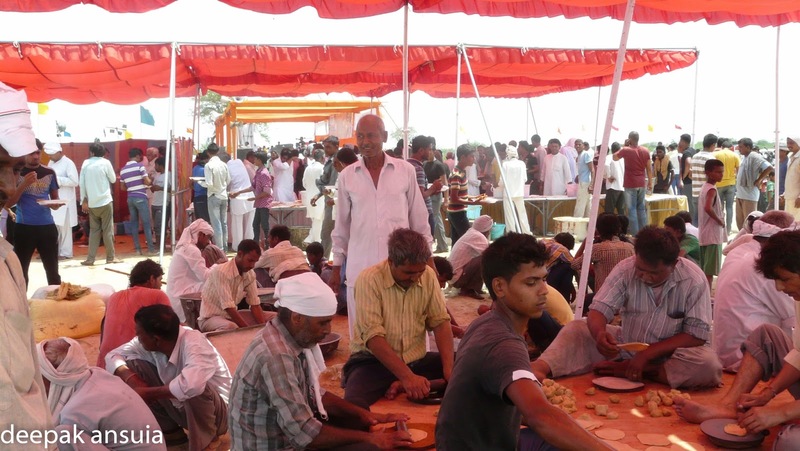 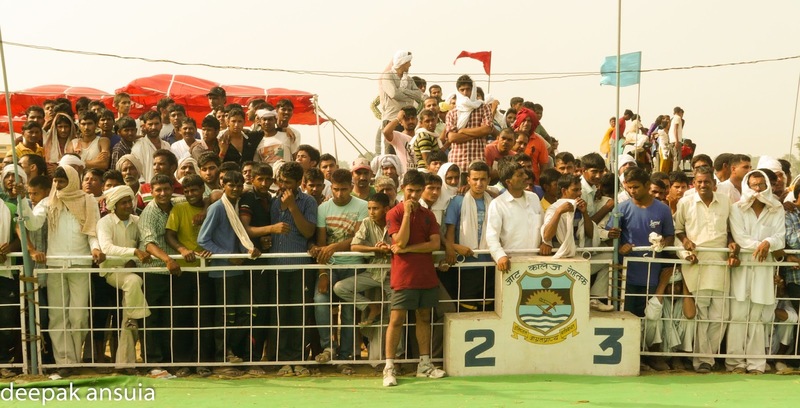 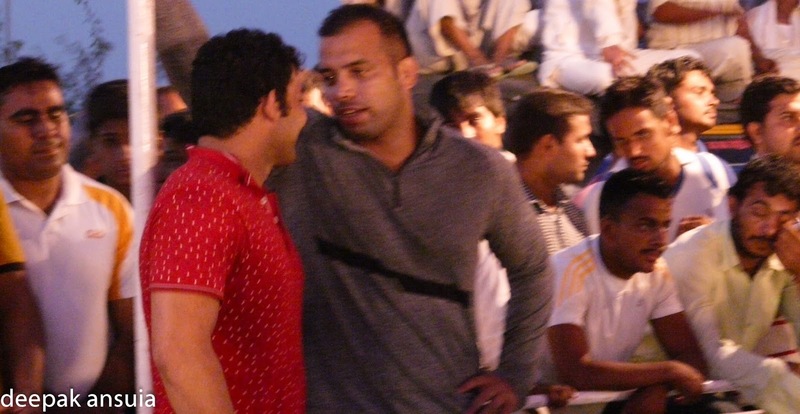 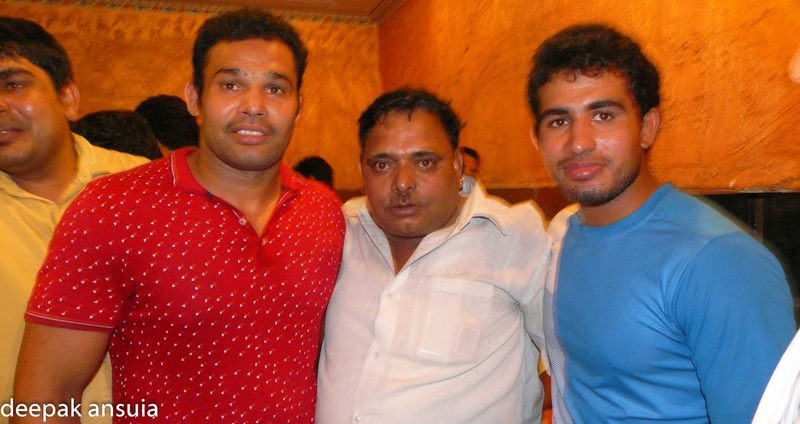 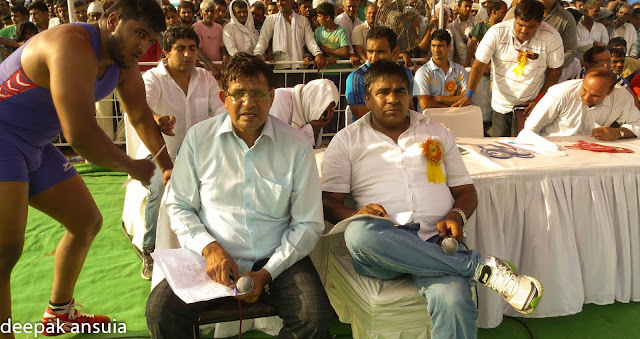 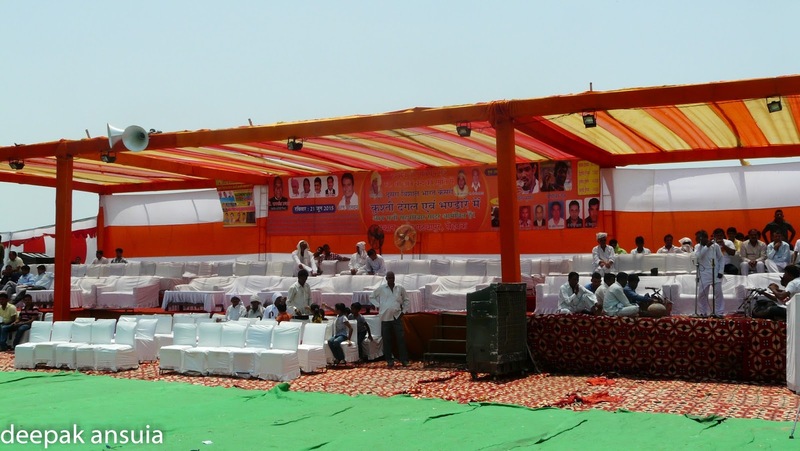 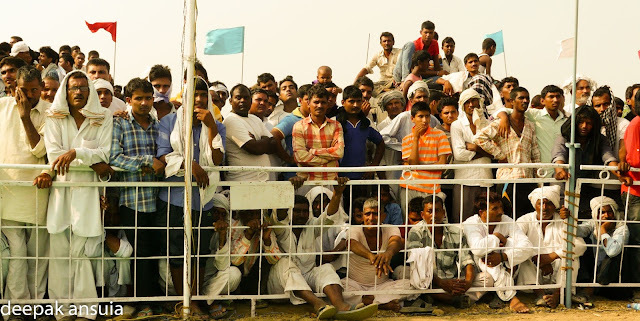 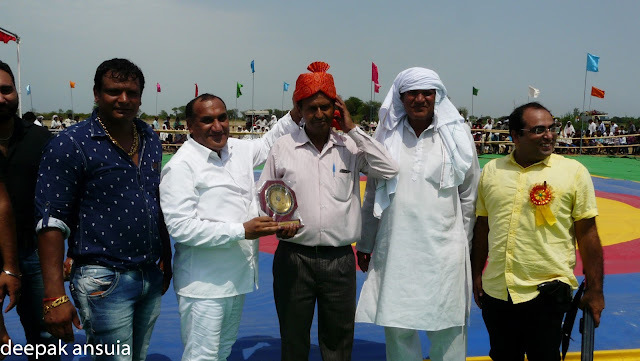 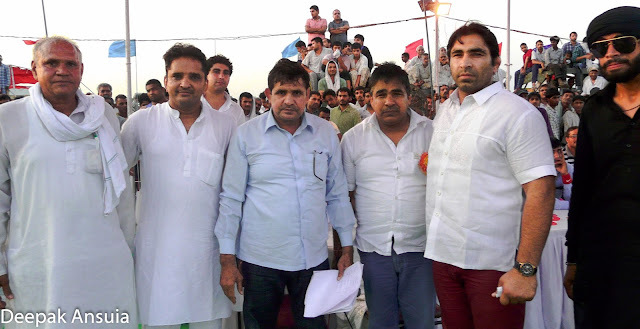 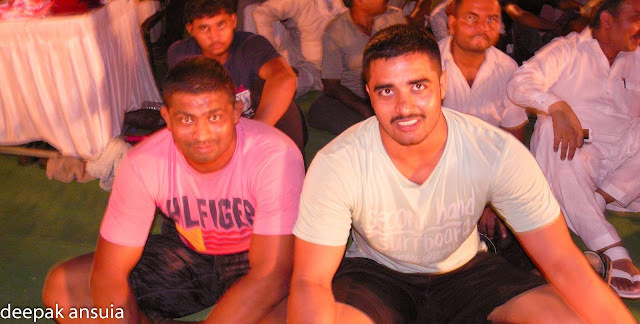 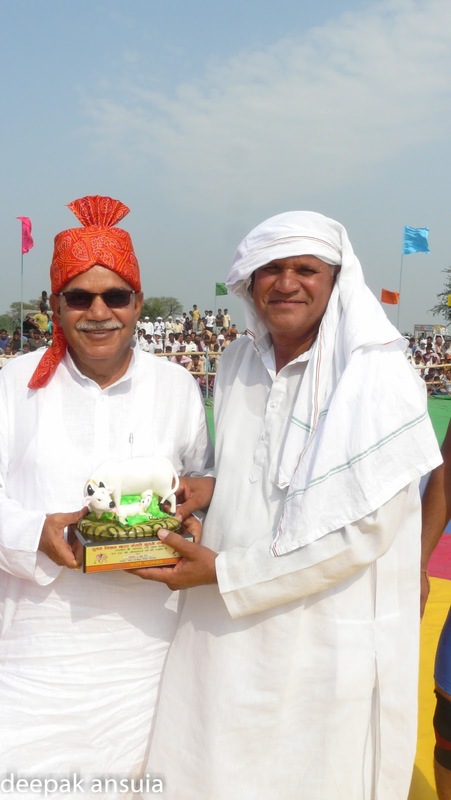 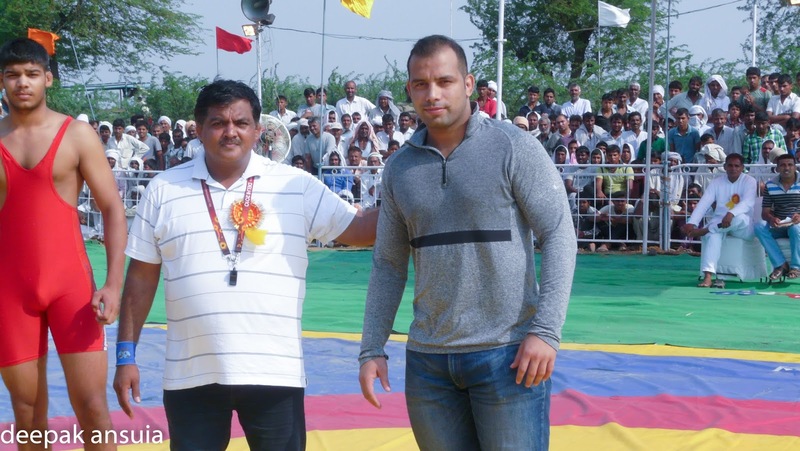 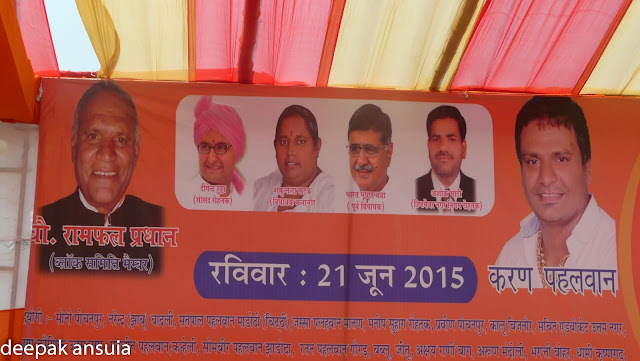 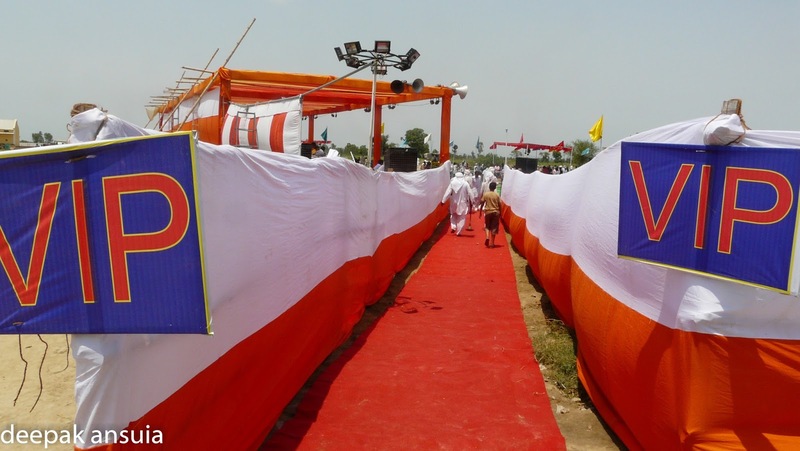 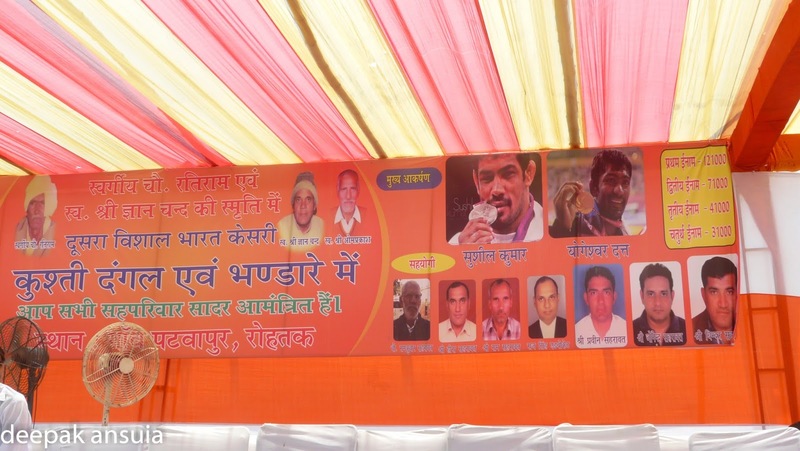 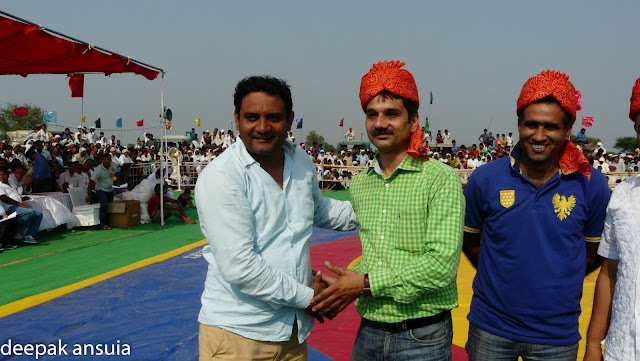 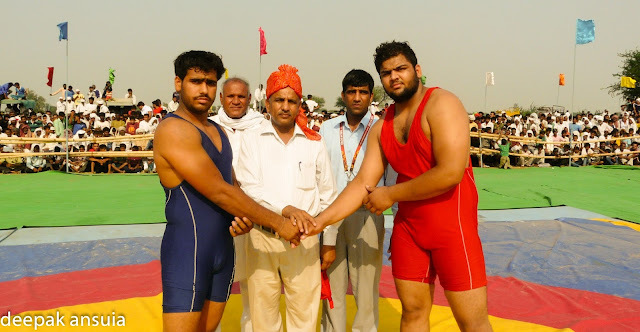 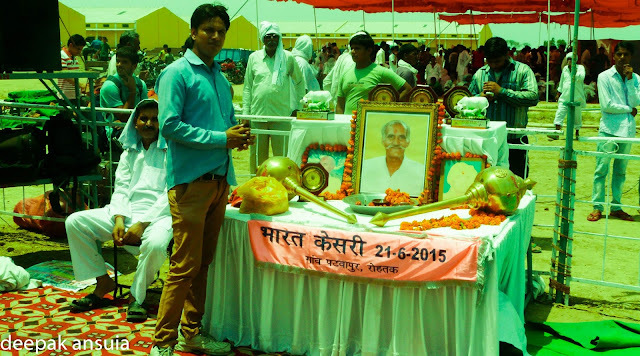 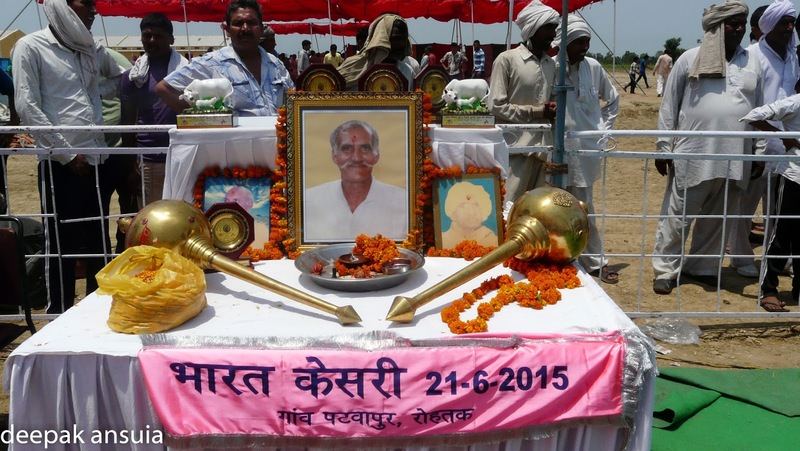 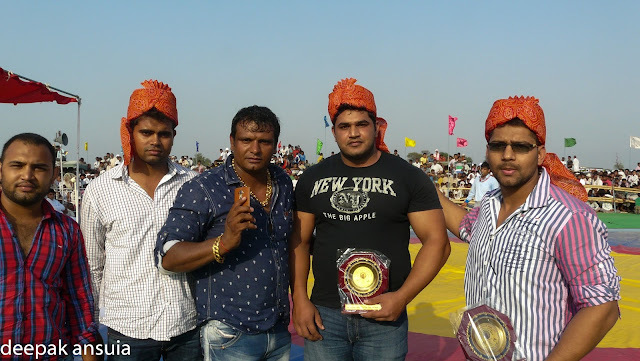 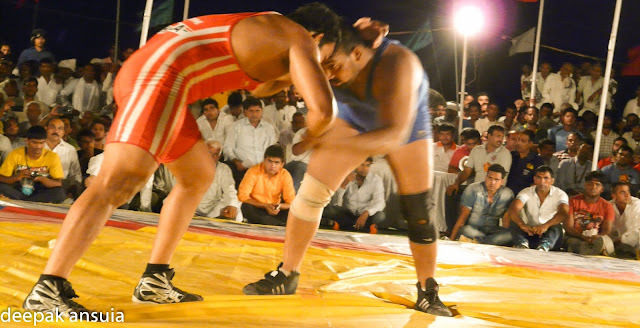 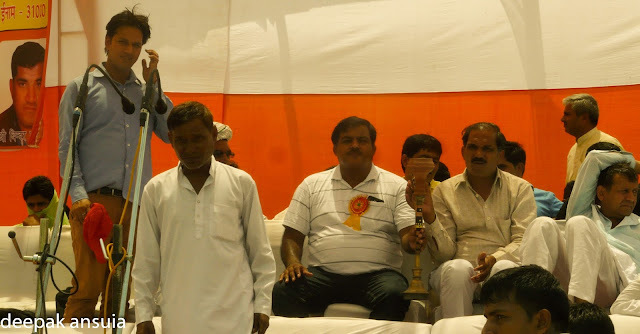 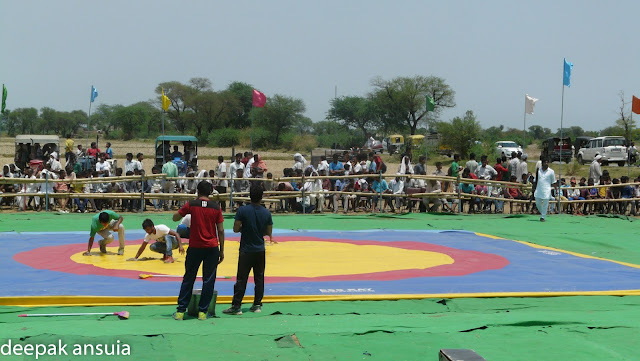 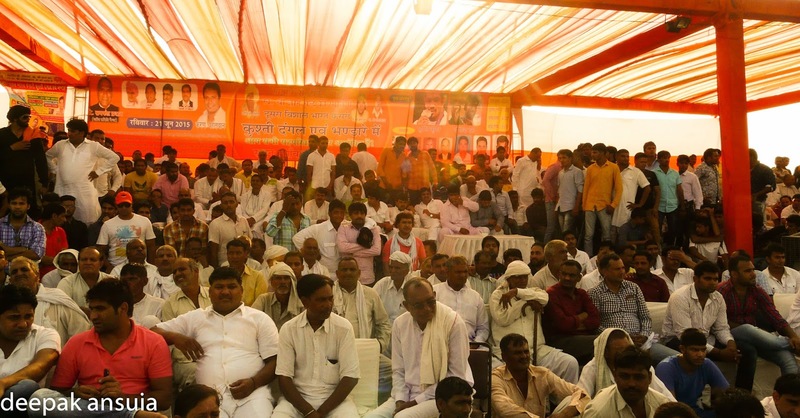 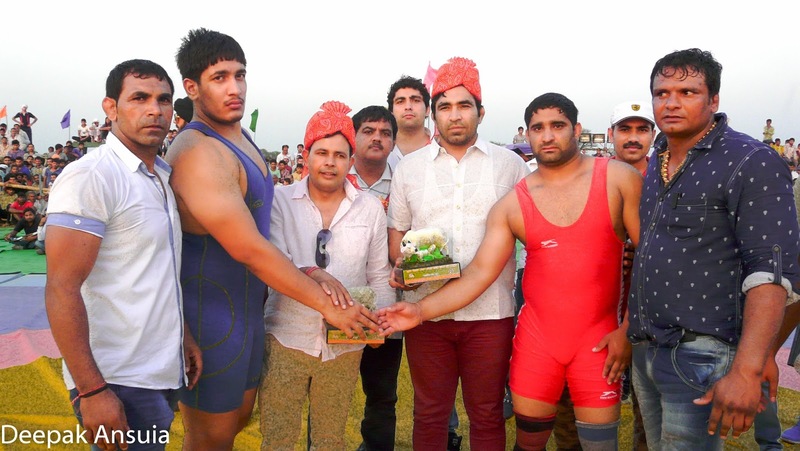 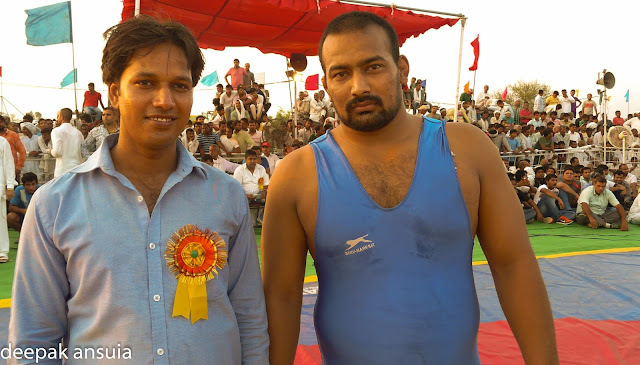 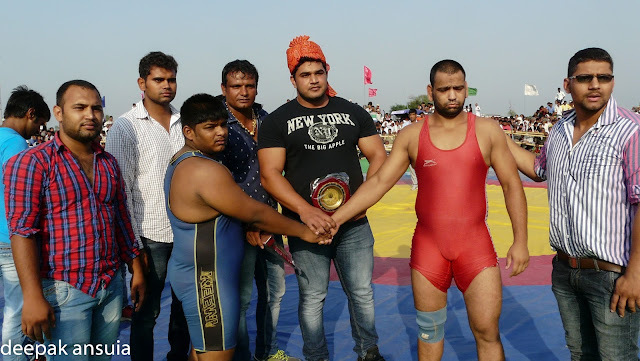 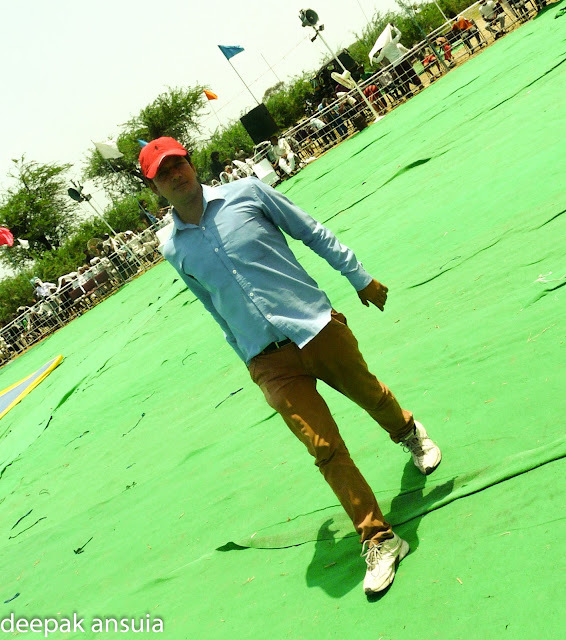 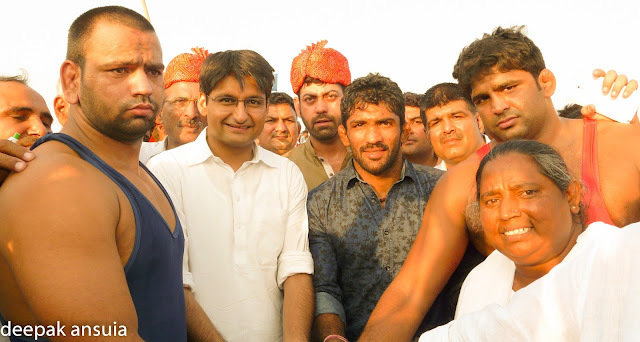 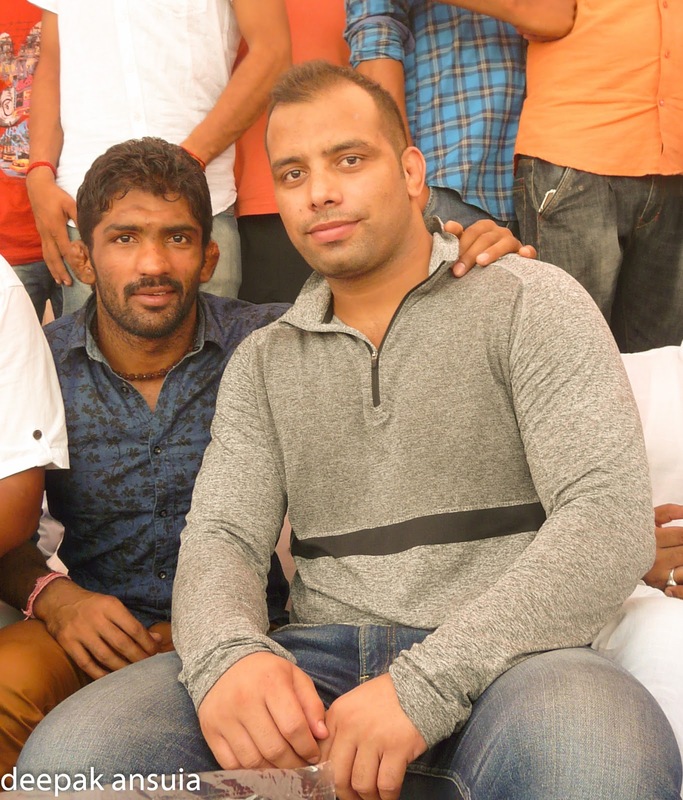 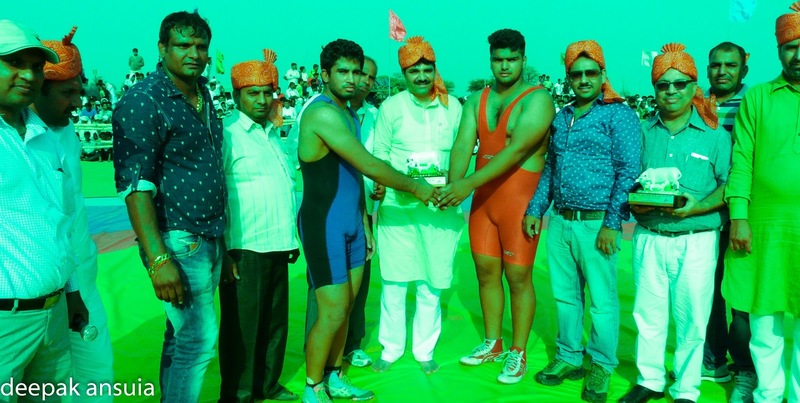 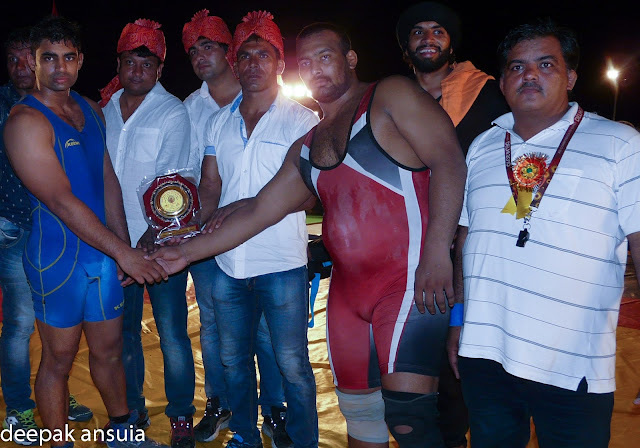 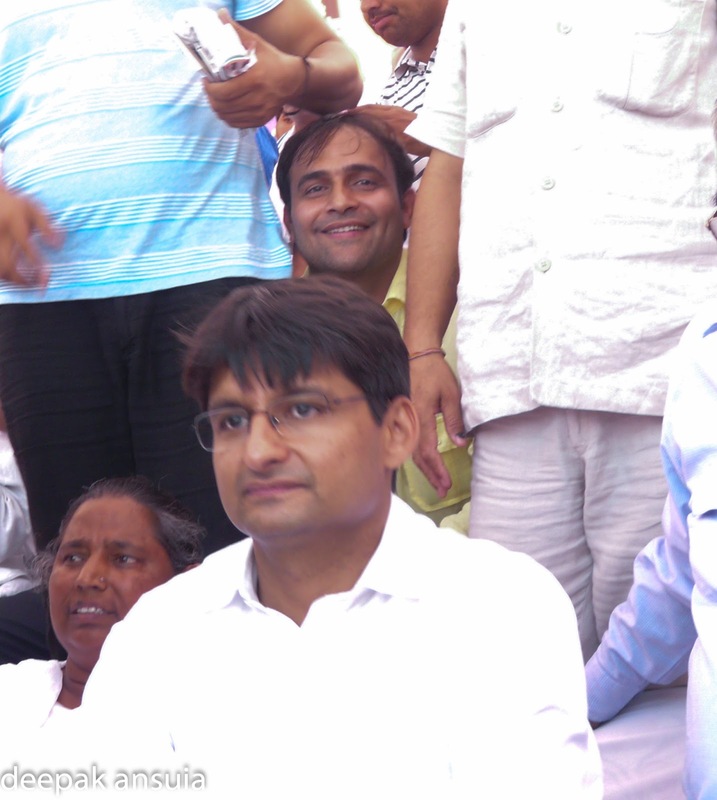 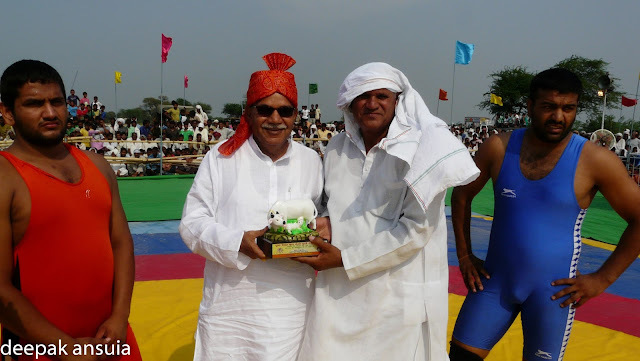 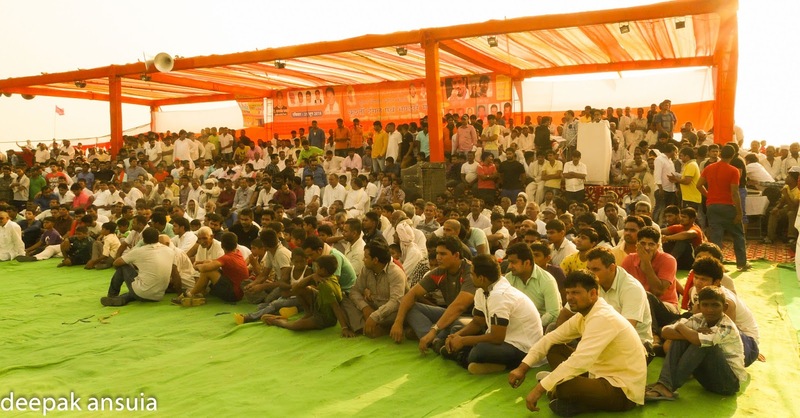 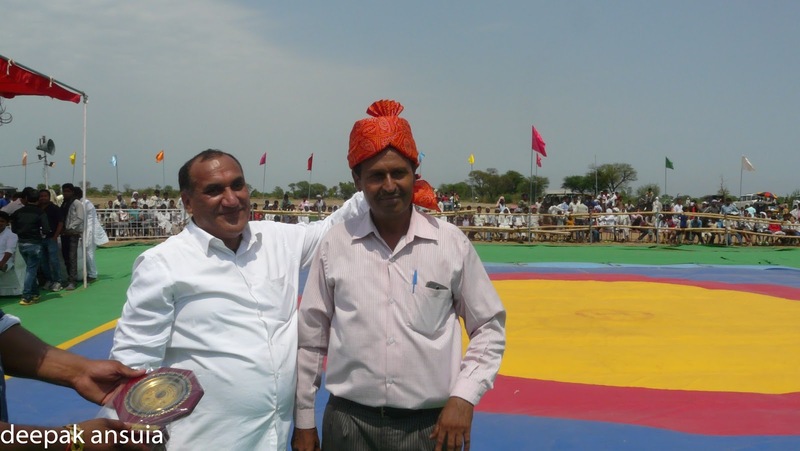 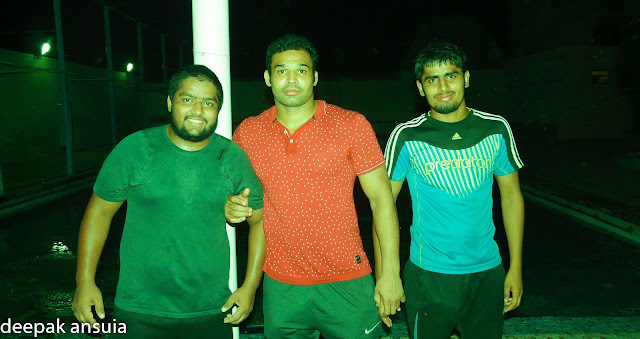 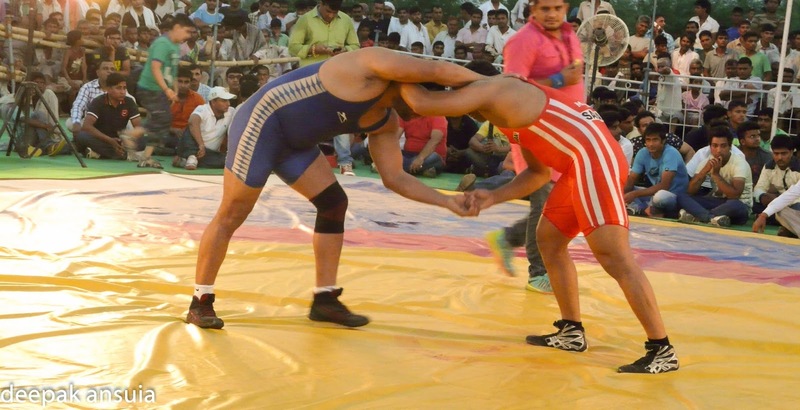 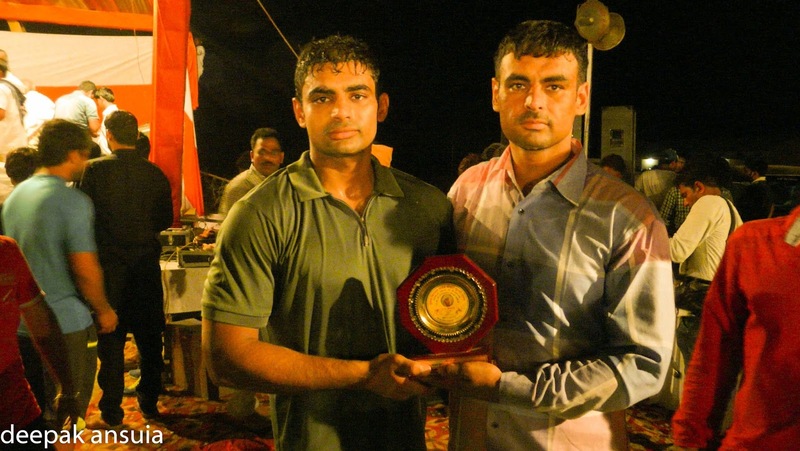 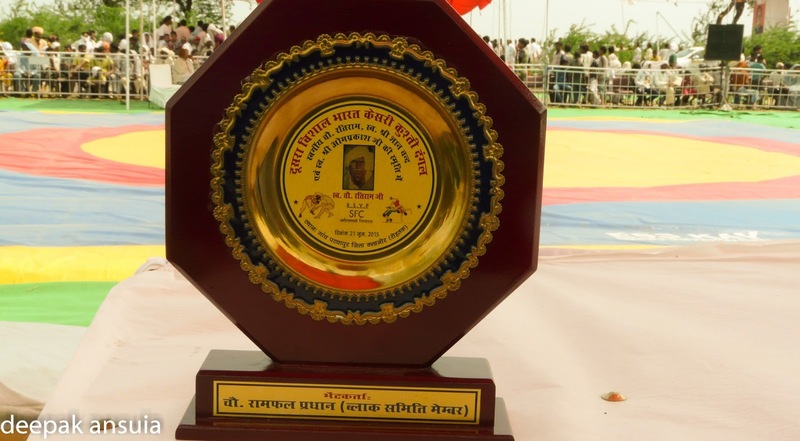 Star wrestlers from all over India turned out for a great dangal in Patwapur, Haryana. 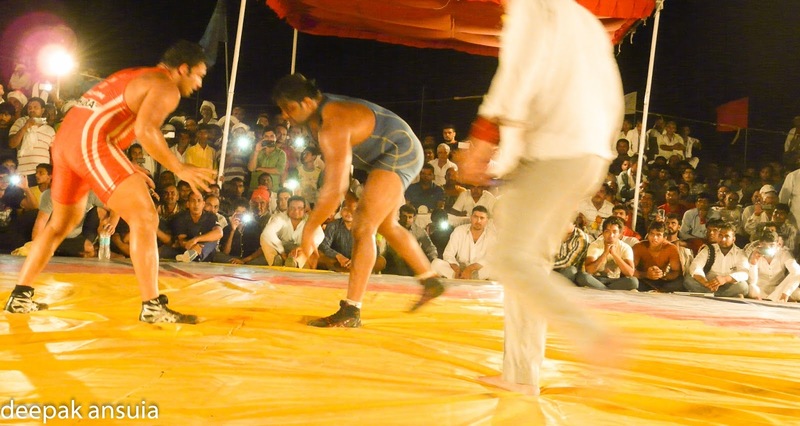 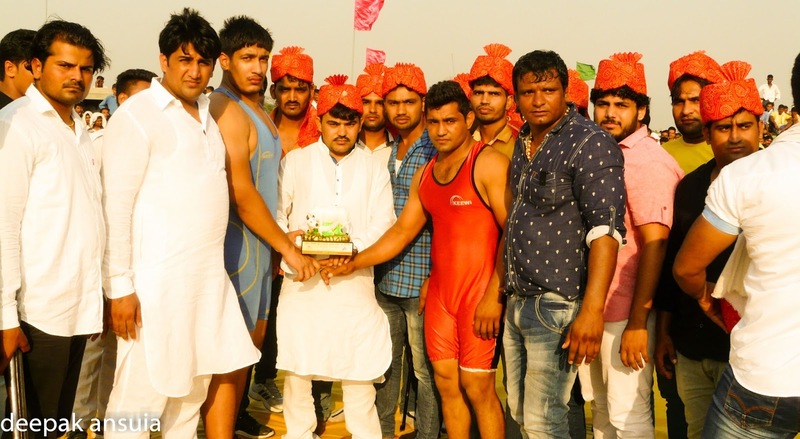 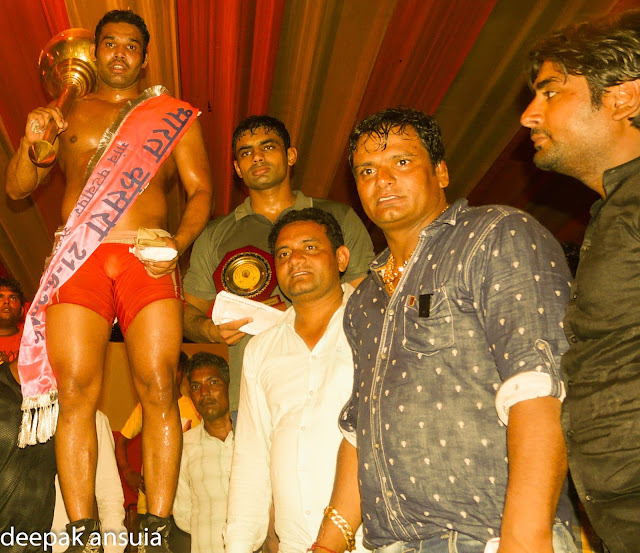 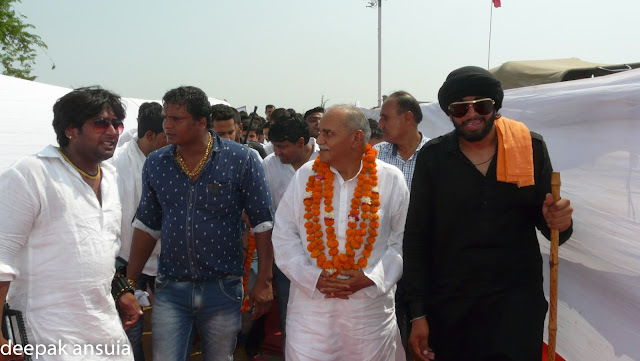 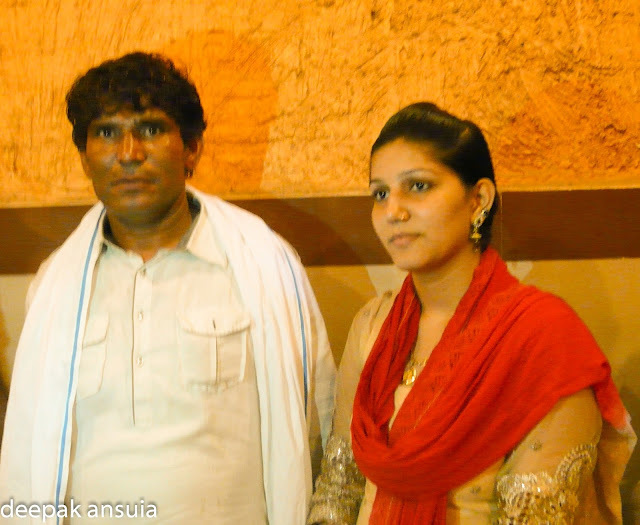 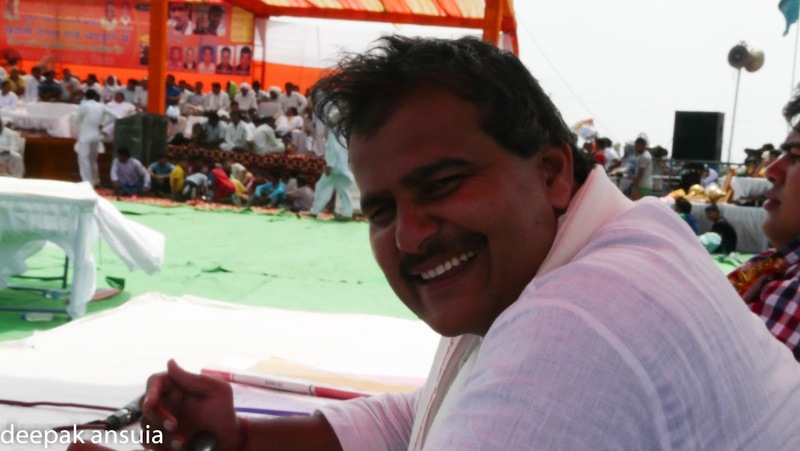 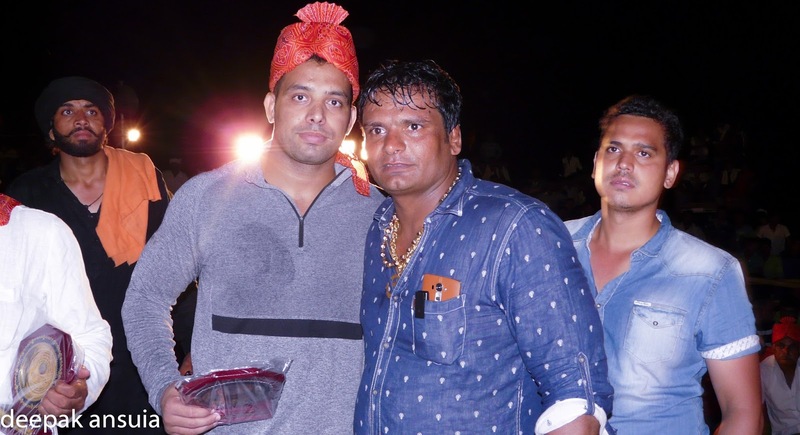 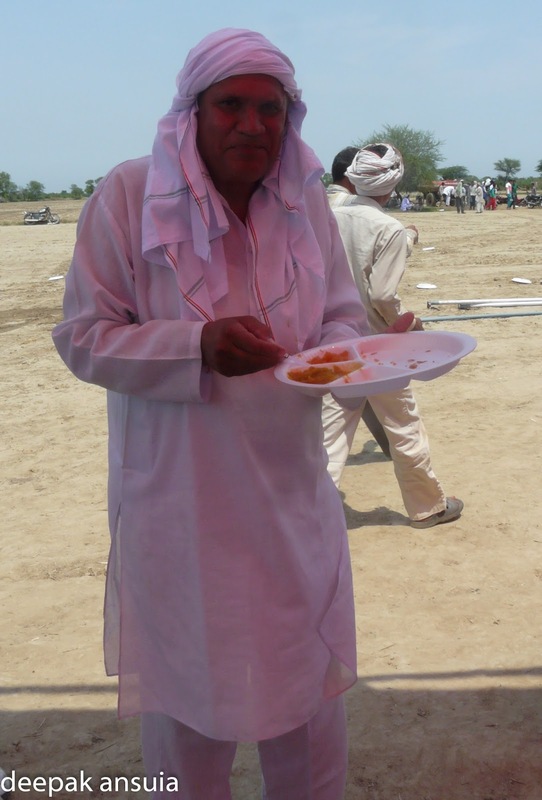 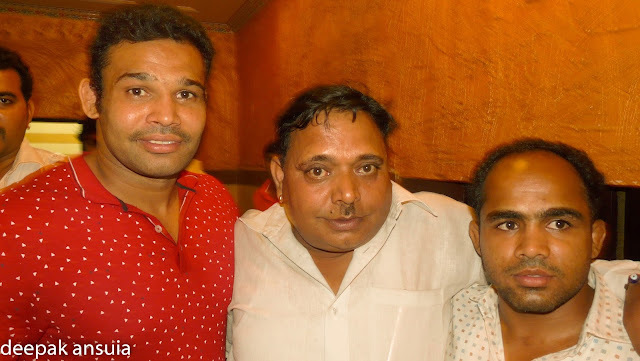 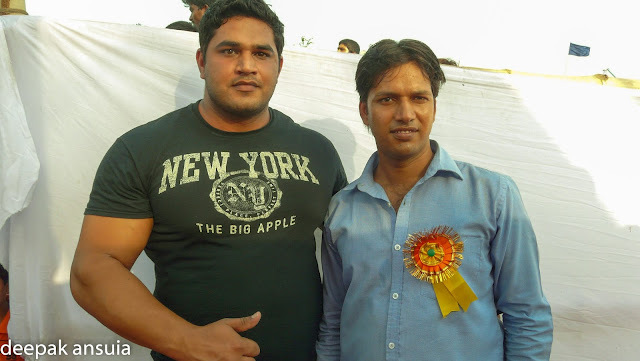 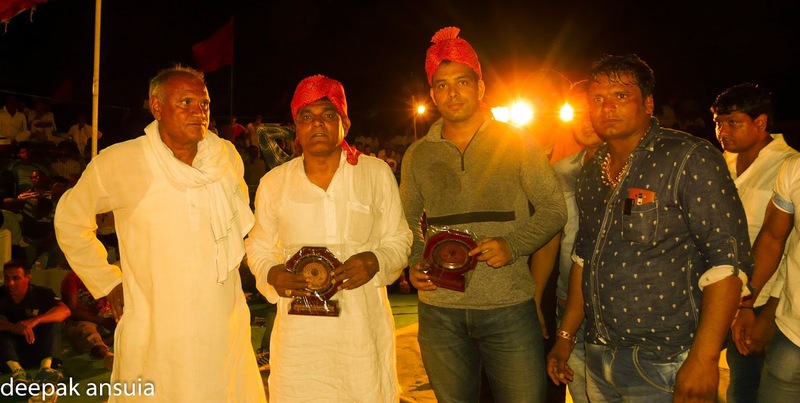 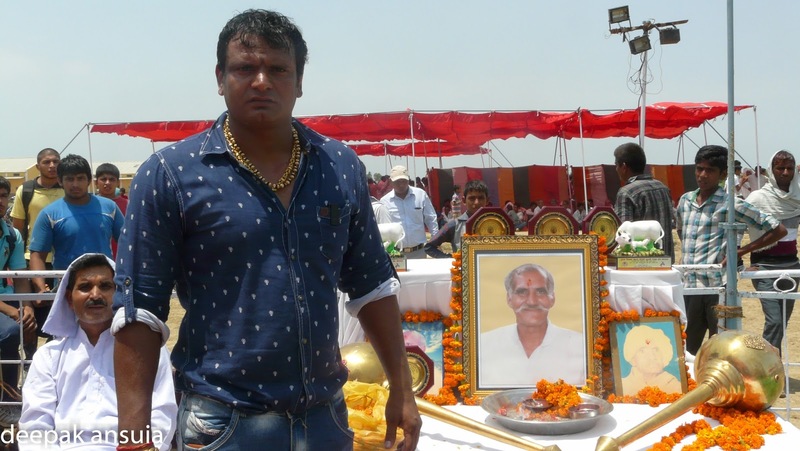 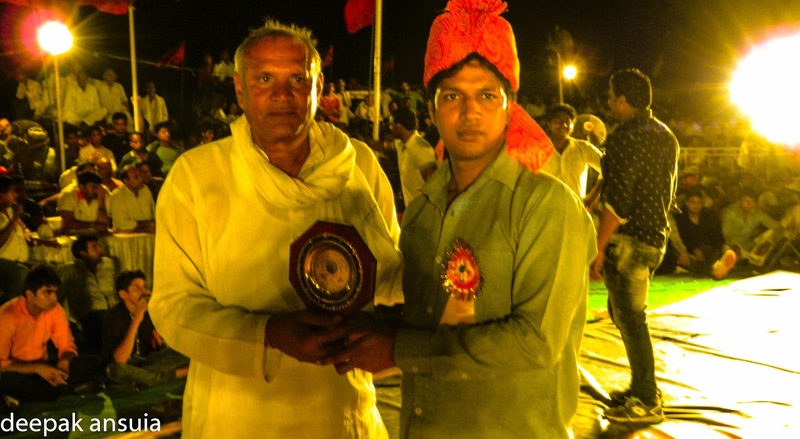 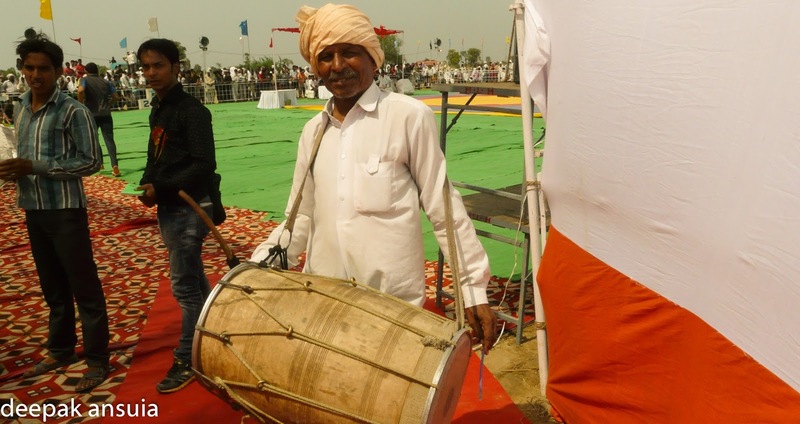 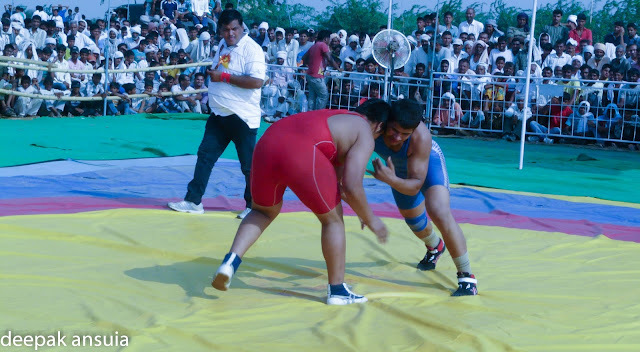 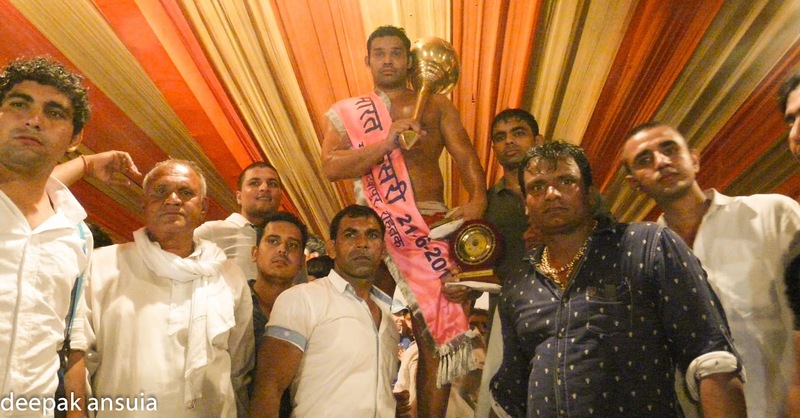 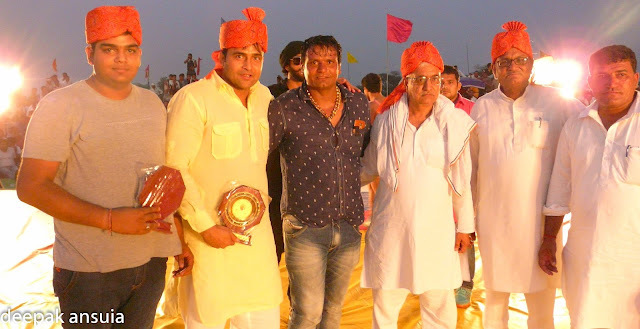 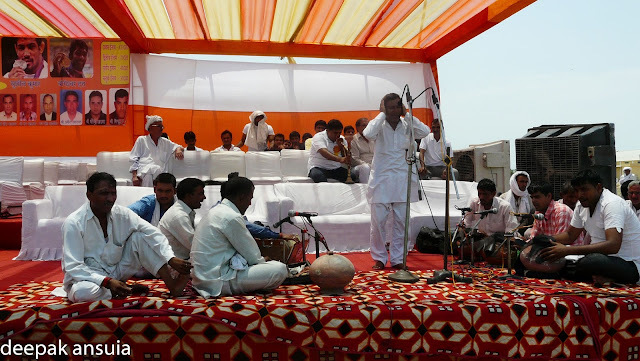 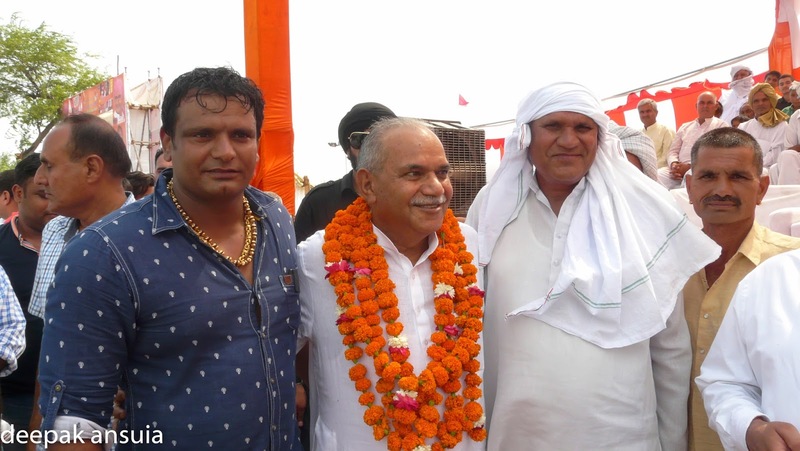 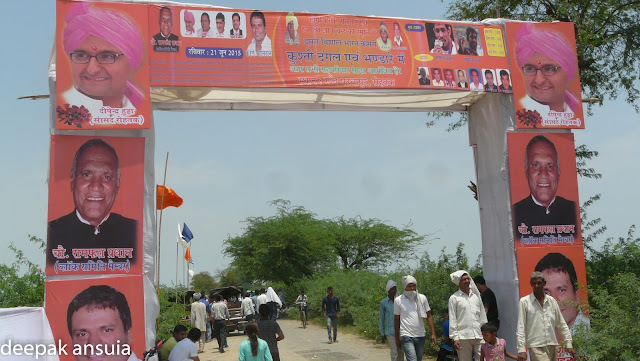 Legendary wrestler Rohit Patel brought wrestlers from Doomchedi akhada including Vijay Choudhry, Ravi from MP, Bheem Pahlwan from Rajsthan, Naveen Punia , Mausam Khatree, Pradeep khatree from Haryana, Anoop from Mehrsing Akhada, Sumit Malik, Monu, Banarsi from Delhi and many more. 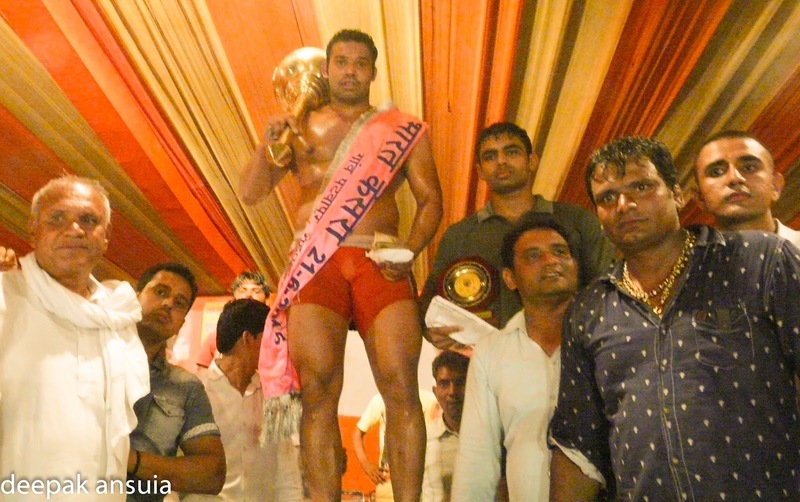 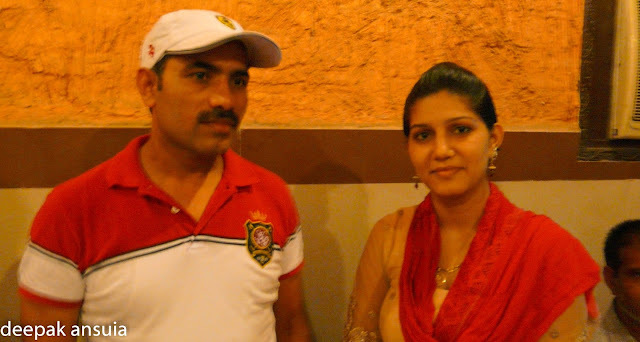 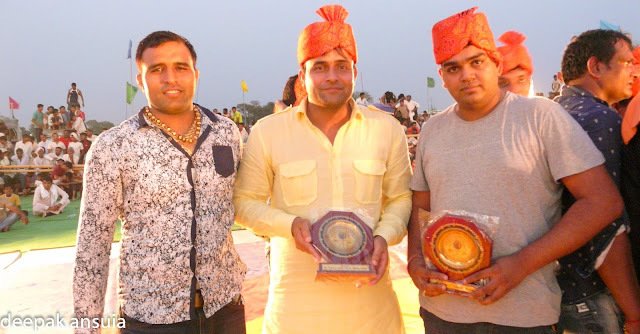 The Bharat Kesri title was won by Mausam Khatree who defeated Sumit Malik of Delhi in the finals. 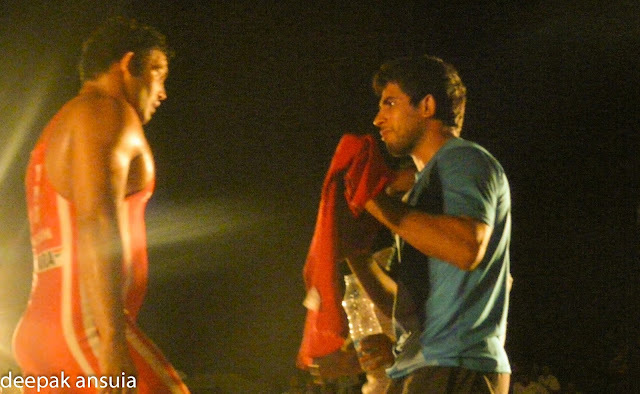 Mausam also fought with Vijay Choudhry, Monu, and a wrestler from Punjab. 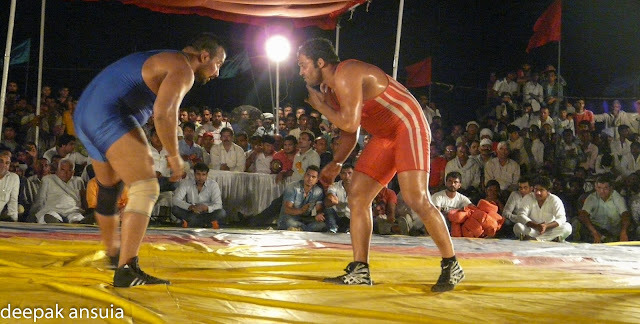 He won all the matches. 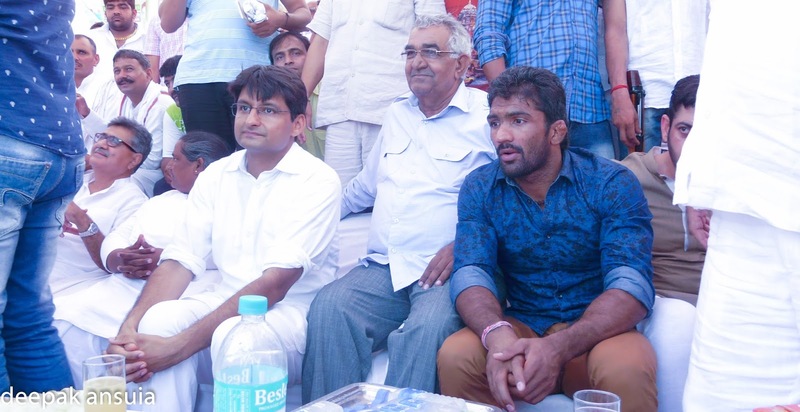 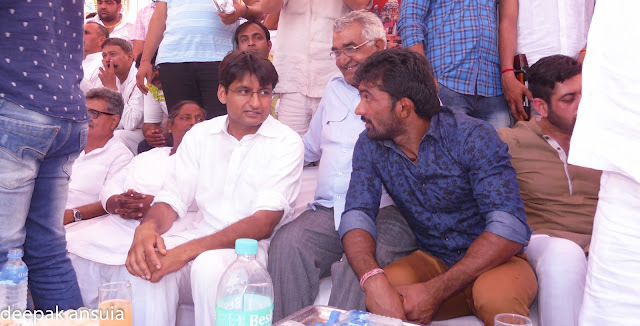 Olympian medalist Yogeshwar Dutt graced the occasion with his presence, along with Satywaan Pahalwan, Coach Ranveer Dhaka, Hind Kesri Rajiv Tomar, Advocate Satpal, and Soni of Pochanpur. 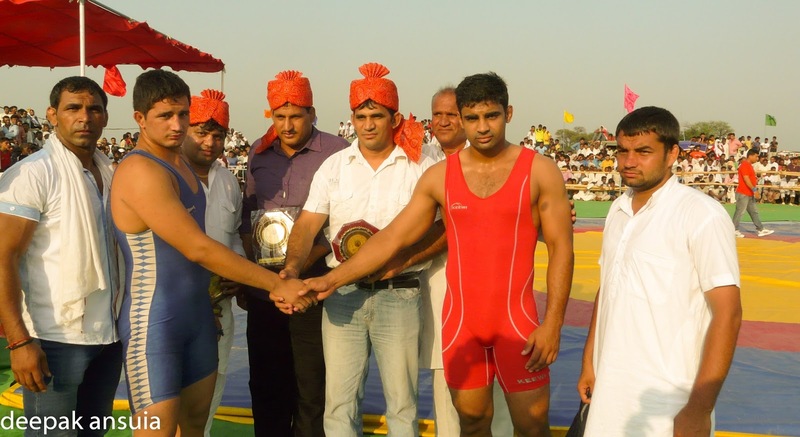 There were bouts of many young wrestlers who fought well and entertained the public. 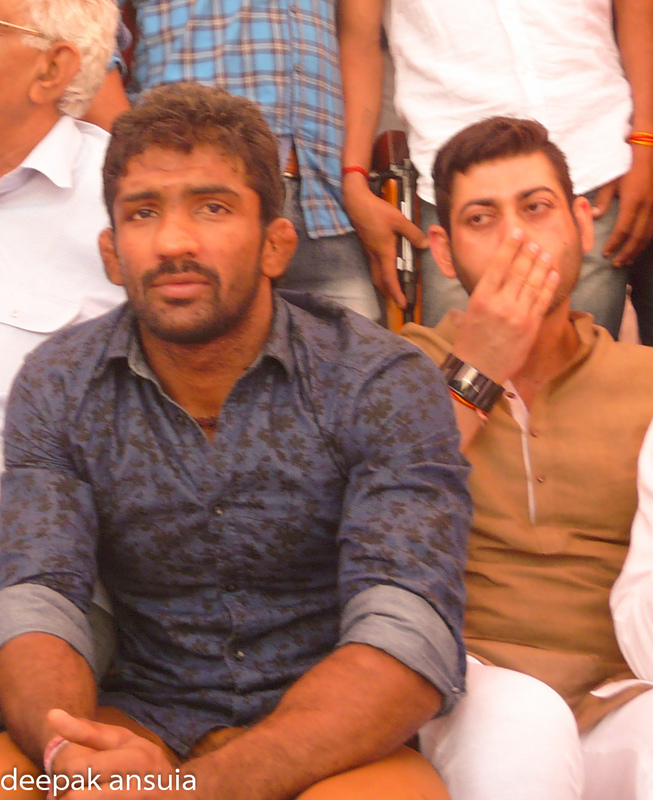 The Dangal Committee honored the guests and prominent personalities at the event including Arun Dubey our correspondent.